Another day, another loaf of bread. That's what it's like around here. This time, I wanted to use a flax and chia blend that came from Hodgson Mill in a box of goodies. Because ... why the heck not? Might was well make the loaf a little healthier. 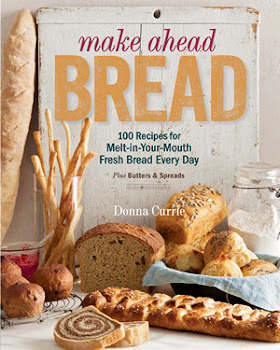 If you're squeamish about bread add-ins, or about using things like whole wheat in loaves because of the flavor ... I have to say that you probably wouldn't notice this at all, except for the flecks of color in the bread. Next time, I plan on using even more. To me, flax tastes a little like sesame seeds, which I love, and there are folks that say it has health benefits. So I'd be happy with more of that flavor. For the fun of it, I decided to braid this loaf and add sesame seeds on top. You could opt to use this dough to make a standard loaf of bread in a 9x5 bread pan, if you prefer. Combine all ingredients in the bowl of your stand mixer fitted with the dough hook (or you can mix in a bowl and knead by hand, if you prefer). Cover with plastic wrap and set aside to rise until doubled in size, about an hour. Flour your work surface, line a baking sheet with parchment paper, and turn out the dough. Knead briefly, then form into your preferred shape. I made a braided loaf. Place the dough on the prepared baking sheet, then cover with plastic rap and set aside until doubled in size. When the loaf has doubled, brush the top with the eggwash if you want a shiny crusty or if you'll be using the sesame seeds. Sprinkle the loaf with sesame seeds, if desired. Bake at 350 degrees until the dough is nicely browned and the inside reaches 190 degrees on an instant read thermometer, about 30 minutes. Remove the loaf from the pan and let it cook completely on a rack before slicing. Note: I recently found out that a lot of chain stores have decided to stop carrying Red Star Platinum Yeast in favor of a brand of standard instant yeast. If you like the Platinum yeast, check the stock at your local grocer, and if it's not there, ask for it, so maybe they'll start selling it regularly again.